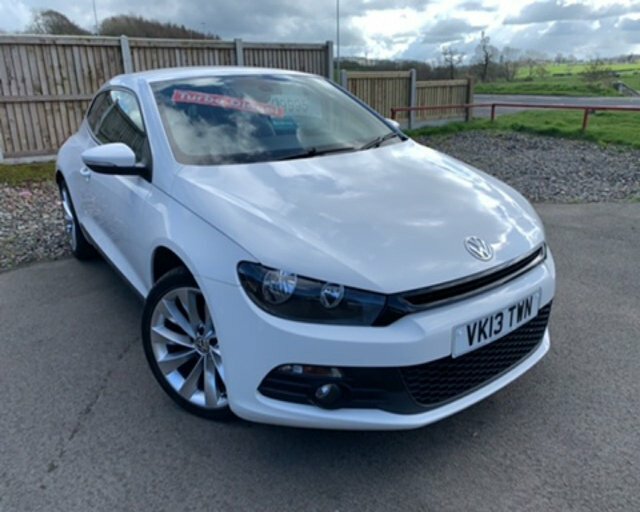 THIS RECENT ARRIVAL IN TO OUR STOCK IS A VW SCIROCCO 2.0 GT TDI 140 BHP BLUEMOTION TECHNOLOGY 2-DOOR COUPE 140 BHP 6-SPEED MANUAL, FINISHED IN CANDY WHITE WHICH IS COMPLIMENTED BY A FULL BLACK VIENNA LEATHER UPHOLSTERY. THERE HAVE BEEN THREE REGISTERED KEEPERS FROM NEW & IT COMES COMPLETE WITH A FULL SERVICE HISTORY UP TO 21/08/2018 @ 60745 MILES, THERE ARE FIVE STAMPS IN THE BOOK ( THE FIRST ONE WAS CARRIED OUT BY VW MAIN DEALER & THE REST HAVE BEEN DONE BY NON FRANCHISE GARAGE ). DUE TO THE EXTREMELY LOW CO2 EMISSIONS, THE ROAD TAX IS ONLY £30 PER YEAR !!! STANDARD SPECIFICATION INCLUDES COLOUR SATELLITE NAVIGATION. BLUETOOTH CONNECTIVITY, 18 INCH 10-SPOKE ALLOY WHEELS, HEATED FRONT SEATS, DAB RADIO, DUAL ZONE CLIMATE CONTROL, LEATHER 3-SPOKE MULTI-FUNCTION STEERING WHEEL, ELECTRIC LUMBAR ADJUSTMENT ON FRONT SEATS, ELECTRIC WINDOWS, ELECTRIC HEATED MIRRORS, CENTRE ARMREST, REAR PRIVACY GLASS, SPACE SAVER SPARE WHEEL & IT HAS TWO SETS OF REMOTE KEY FOBS. 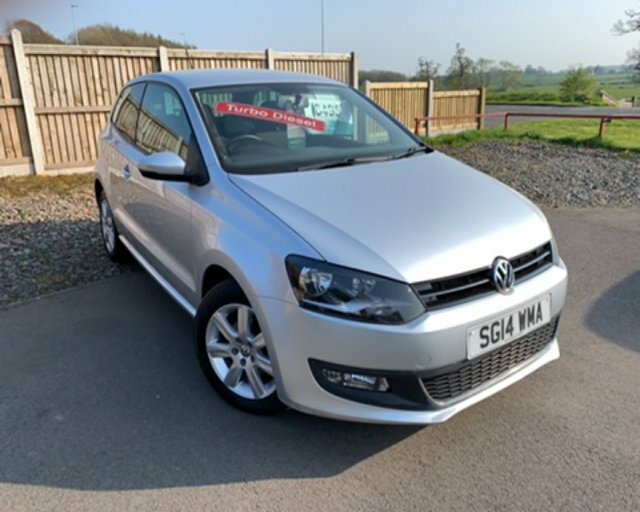 For a friendly welcome and sound advice, make sure you start the search for your next car right here at Intercars Of Carlisle Ltd. We've years of experience helping drivers in the area to find their dream vehicles and we'll do everything we can to help you find a used Volkswagen in Carlisle that meets your needs. Whether you're in the market for a motoring icon like the sporty Volkswagen Golf, a small yet perfectly formed city car such as the up! 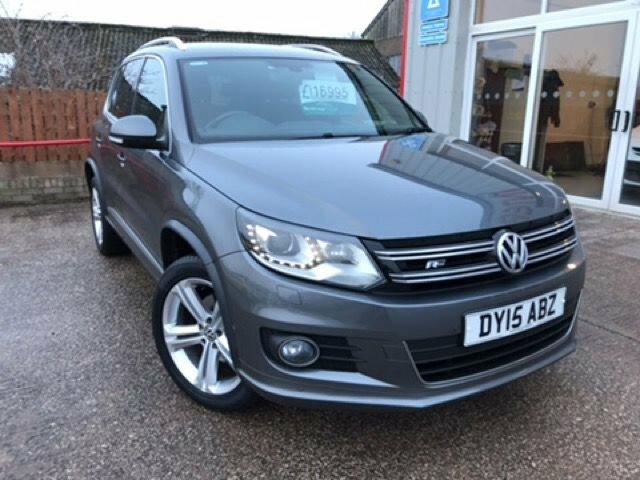 or a spacious family model like a used Passat Estate, the team at Intercars Of Carlisle Ltd is here to help. View our latest line-up here on the website and don't forget to contact a member of the showroom team to arrange a test drive.